Last week I joined POW. The purpose of POW is to unite the climbing community on climate advocacy. 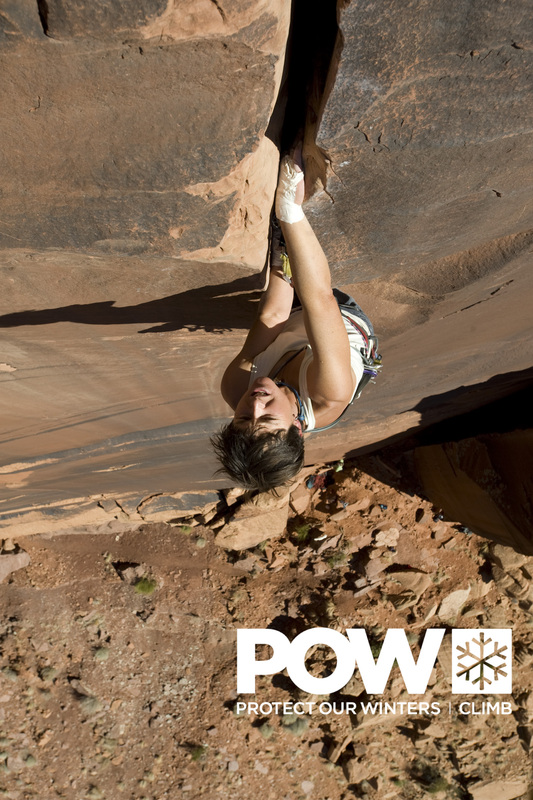 POW has a vision of a carbon-neutral future and is building a platform for climbers to have a voice on climate change. As the seasons change, so does our dance with gravity from skiing to climbing. The wondrous transition of the seasons always reminds me of our precious planet Earth. Planet Earth is something we can’t take for granted anymore. Each year I strive to live more consciously and take more responsibility for my carbon footprint. In 2016, 7.7 million people in the U.S. participated in some form of climbing. As a community, we have the potential to move mountains. Together we can make positive change for future generations to enjoy the outdoors. POW! Let’s do this! Let’s tie-in and talk about how we can step up our game. is just weeks away and as we’ll be sinking our jams into Indian Creek’s perfect sandstone splitters, we salute the fight for Bears Ears National Monument. Indian Creek is one of our favorite climbing places because it’s the splitter crack capital of the world. If you want to take your crack climbing and trad climbing skills to a new level, Indian Creek is the place. But the best part of climbing in Indian Creek is its scenic beauty and remoteness. Spring and rock climbing provide the amplified nature fix that Kitty talked about in her recent Doldrums post. We all need nature to reboot our outlook on life. Fighting our way up a perfect crack climb gives us untold POWer that translates into everything we do. Join Chicks for all-women camaraderie, campfires under the stars and learn how to take your crack climbing technique to the next level. Sign up now because there are only a few spots left on our Indian Creek Climbing Clinic. Come jam with us and let’s get down to getting fired up!